One cannot complete the survey of the contemporary Ukrainian art scene without the observation of three important contemporary art centres that operate in Kiev. As mentioned above, even though after the collapse of the Soviet Union the minds and subject matter of Ukrainian artist have been liberated, in their majority they remained figurative painters who received – and followed – classic academic training based on centuries of traditional art teaching. Judging from the art on display in Kiev’s commercial galleries, the language of abstract and alternative art movements still remains foreign for contemporary art practitioners in Ukraine. It therefore falls upon contemporary exhibition centres to educate the artists – and the masses – by staging exhibitions of contemporary art from abroad. In this area, Centre for Contemporary Art (formerly the Soros Centre for Contemporary Art – www.cca.kiev.ua), EIDOS Arts Development Foundation and Contemporary Arts Centre (www.eidosfund.org), and the Pinchuk Art Centre (www.pinchukartcentre.org) are invaluable to the cultural landscape of the present-day Ukraine. “The EIDOS Arts Development Foundation [www.eidosfund.org], established in 2005, … has made a priority of using art education and communication to cultivate the Ukrainian contemporary art community. Their regular events bring together artists, curators, critics, writers and students, with the intent of fostering connections between isolated groups (the so-called tusovkas). Such events not only supplement the limited art education available at the National Academy, but they also serve as a catalyst for forming relationships which may lead to further cooperation. The EIDOS Foundation also sponsored a grant competition for art projects in public space. The foundation’s activities, which often address the dialogue between contemporary art and its social context, help Ukrainian artists cultivate the professional skills necessary for further contact with international arts institutions and for realizing their projects. Recently, the EIDOS Arts Development Foundation and Ludmila Bereznitsky and Partner Gallery opened a new, sleek space for contemporary art in Kyiv – the EIDOS Contemporary Art Centre. The CAC plans to showcase both experimental work by young Ukrainian artists and international curatorial projects. 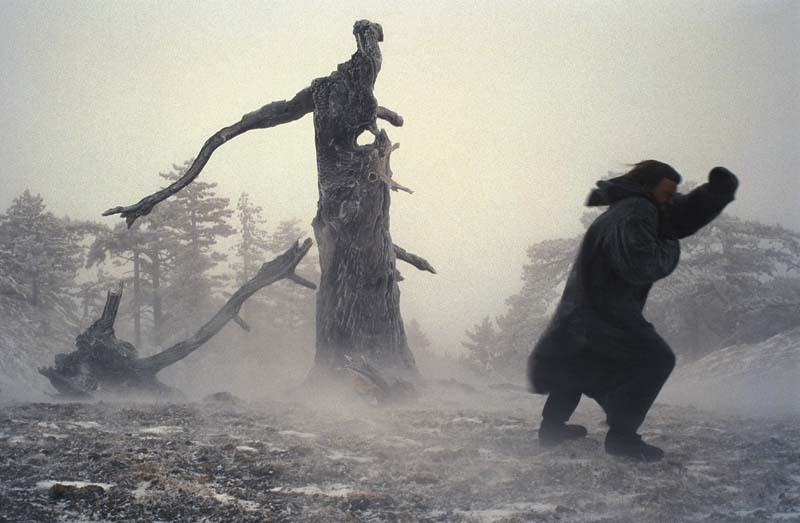 The CAC also promotes Ukrainian new media and video art, which are seldom exhibited in private galleries partial to traditional media such as painting. “Since its opening in 2006, the PinchukArtCentre (PAC), which is independently supported by billionaire collector Viktor Pinchuk, has dominated the public perception of contemporary art with its large gallery space in Kyiv. Through unparalleled financial resources for exhibiting art in Ukraine, the institution has succeeded in making contemporary art accessible to a wide Ukrainian and international public. With free admission, convenient visiting hours and extensive PR, the museum welcomes tens of thousands of visitors to each of its major exhibitions (about three per year). 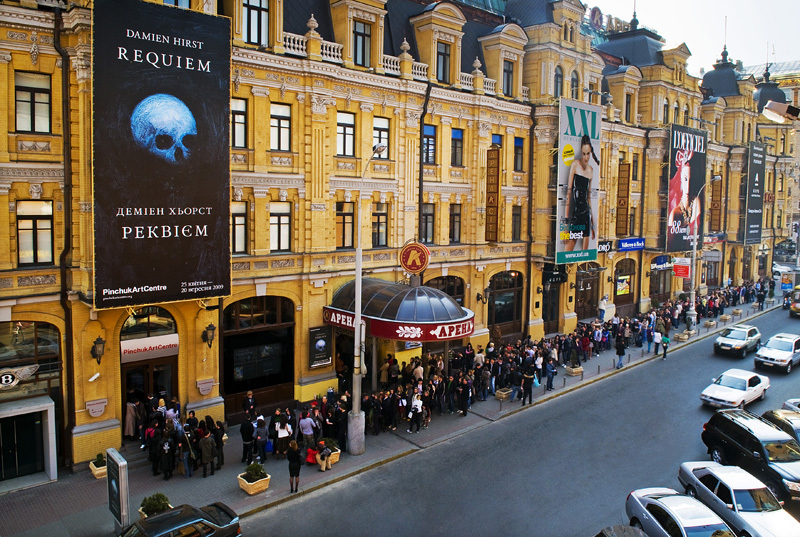 The most recent show, “Requiem,” is Damien Hirst’s biggest retrospective to date and includes the exclusive world premiere of works from his recent series “Skull Paintings.” Hirst visited Kyiv for the opening, and also donated medical equipment to a children’s hospital in a joint charitable venture with the Victor Pinchuk Foundation. “Because the PAC is the only institution of its kind, scale and visibility, many Ukrainian visitors formulate their idea of contemporary art based solely on what they see there. Pinchuk’s collection, which includes works by Andreas Gursky, Jeff Koons and Damien Hirst, emphasizes artists with celebrity status and work that is expensive and spectacular. In Ukraine, radio news stories rate the most expensive contemporary artists, so there is a tendency to view art as a luxury item in the hands of the elite but on display to the public, not unlike other flashy commodities like the Bentley sedans in the showroom next door to the PAC. 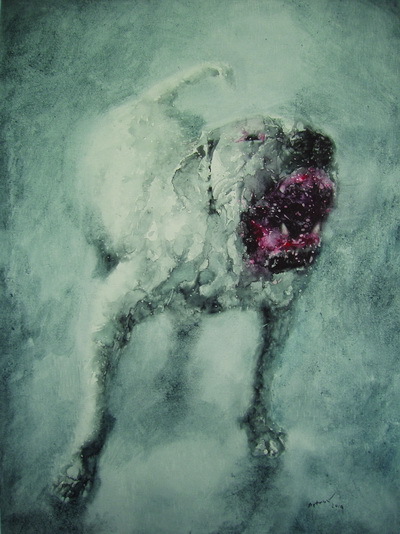 This concludes my foray into the contemporary Ukrainian art scene for the time being. From now on I will endeavour to keep my eye on its happenings, and report them as they occur. Certainly, some day in the future, perhaps on my next trip to Europe, I would love to revisit my “old stomping grounds” and discover the new ones. 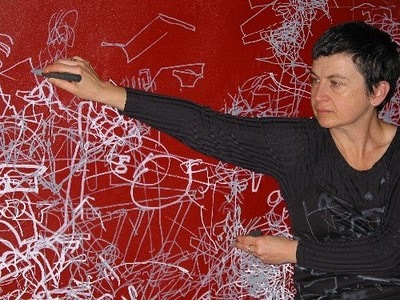 By the way, if you wish to read the rest of Larissa Babij’s excellent article, see it at www.artmargins.com. Among the major developments on the Ukrainian (post-Soviet) art scene is the appearance of commercial art galleries. While further research is required to ascertain which was the first commercial gallery to open post-1992, in less than twenty years over fifty have sprung up around Kiev where there used to be none. Most of them are located around the older parts of Kiev, which are traditionally associated with art and history. Just like on the Australian art scene, galleries divide between those who focus the avant-garde contemporary art, and those who represent contemporary artists working in a more traditional way. Interestingly – and unlike commercial galleries in Australia – the majority of the galleries (and especially more traditionally focused galleries) operate as multi-tasking, multi-purpose community art centres. Apart from regular changing exhibitions and artist representation, they actively participate in art projects; offer studios to artists of various disciplines; run art classes for children and adults; host regular lectures and educational workshops; publish books, magazines, and catalogues; run their websites as e-zines and newsletters; offer framing and interior design, etc. This is perhaps a reflection of the small and developing art market that forces gallery owners and directors to rely financially on more than just art sales. While the breakdown of the Soviet system has liberated the minds of Ukrainian artists, their art still remains predominantly figurative. As observed by Larissa Babij, ‘ young Ukrainian artists generally receive very traditional training that does not incorporate current art world trends’. It also reflects the predominant tastes of Ukrainian art collectors (as well as the gallery-going public in general), who are perhaps not versed as well as the Western European and American public in the visual and pictorial language of abstract and alternative art movements. Of the commercial galleries currently operating in Kiev, the following stand out in terms of quality of art, artist representation, and gallery management: Bottega Gallery [www.bottega-gallery.com]; Collections Gallery [www.collectiongallery.com.ua]; Karas Gallery [www.karasgallery.com], perhaps among the first contemporary art galleries to opened in Kiev in 1995; Kyiv Fine Art Gallery [www.kyivfineartgallery.org]; Ya Gallery [www.yagallery.com.au]; and internationally renowned Zeh Contemporary Art Gallery [www.zeh.com.ua]. 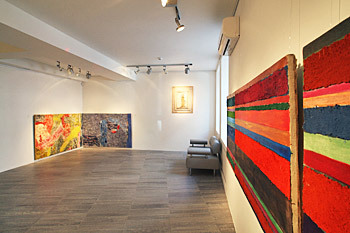 The Berlin-based Bereznitsky Gallery [www.bereznitsky-gallery.com], which specialises in contemporary Ukrainian art, has a branch in Kiev. 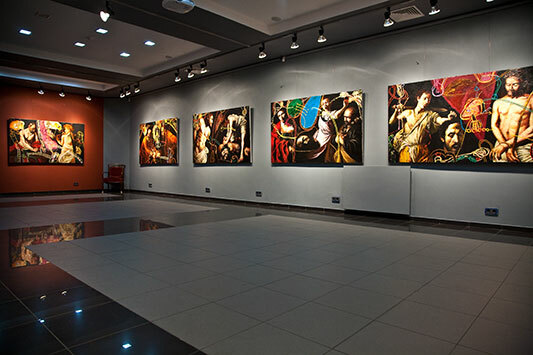 There is also a specialist contemporary photography gallery, Brucie Collections [www.bruciecollections.com], and an art auction house, Korners Gallery [www.korners.com.ua] that broadly specialised in Ukrainian and as well as international fine and decorative art. The nucleus of Kiev’s three major art museums was formed approximately around the same time, in the second half of the 19th Century. 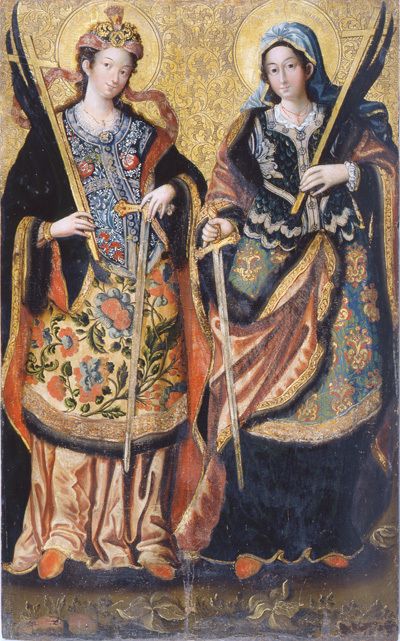 Two of the most important collections in Kiev belonged to the Tereshchenko and Khanenko families, rich sugar magnates and industrialists, who were also related by marriage. 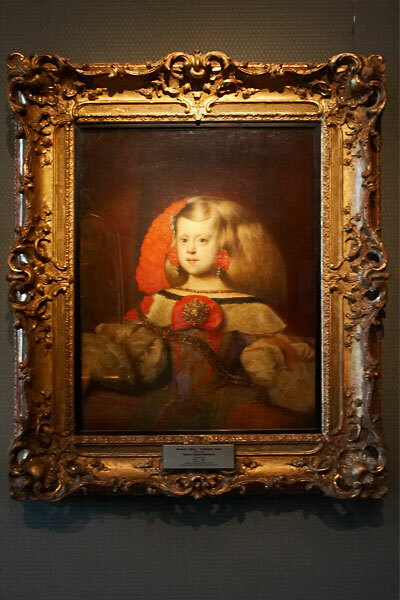 While the Tereshchenkos mainly concentrated on collecting Russian and Ukrainian art, the Khanenkos had a more international focus, purchasing Old Masters and Oriental works of art. Both housed their collections in neighbouring purpose-built mansions, and from time to time opened their homes to the public. The origins of Ukraine’s National Museum of Art were slightly different inasmuch as it was founded as a purpose-build and designed public art museum, along the lines of other major public collections around the world. 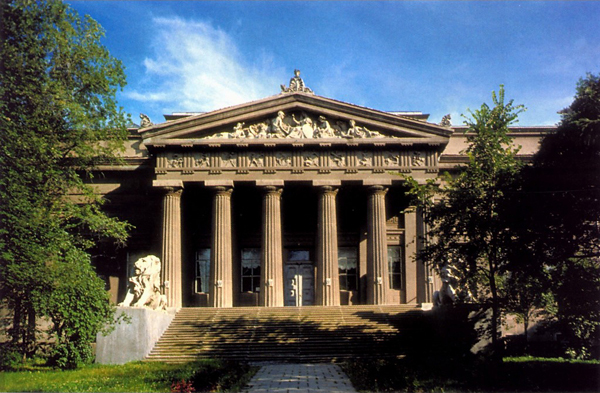 While the Tereshchenko and Khanenko families were among the major donors and supporters of the museum, it remained a public and independent museum of art. After the Communist Revolution of 1917, all three collections had undergone at least twenty years of major upheavals, which have left an indelible mark on the focus and composition of their holdings. In 1919, the Tereshchenko and Khanenko collections were expropriated from their owners and nationalised. The centralised governmental museum system designated them as the Museum of Russian Art and Museum of Western & Oriental Art respectively, while the National Art Museum was re-focused as the Museum of Ukrainian Art. The holdings of these three newly-minted museums were significantly enriched with artworks coming in from other “nationalised” collections. However, in the process, the integrity of their original holdings had been lost, as works by Russian and Ukrainian artists from the former internationally-focused Khanenko collection were transferred respectively to the Russian and Ukrainian collections, and vice versa. 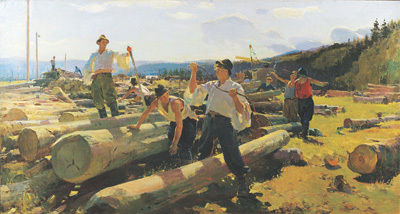 The National Art Museum was likewise stripped of works by Ukrainian-born artists who attained their fame in Russia (such as portrait painters Borovikovsky and Levitzky), and those who were born elsewhere, though whose life and art was inextricably bound with Ukraine (such as Vrubel, Repin, and Ge). 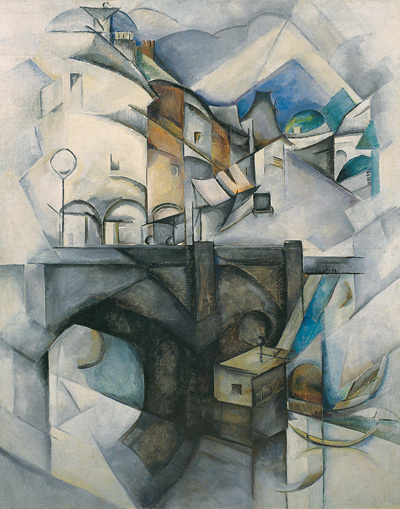 Furthermore, following the governmental decision to establish art museums in all (and even the most remote) centres of the Soviet empire, comparable works by same artists were re-distributed among the country’s other collections. 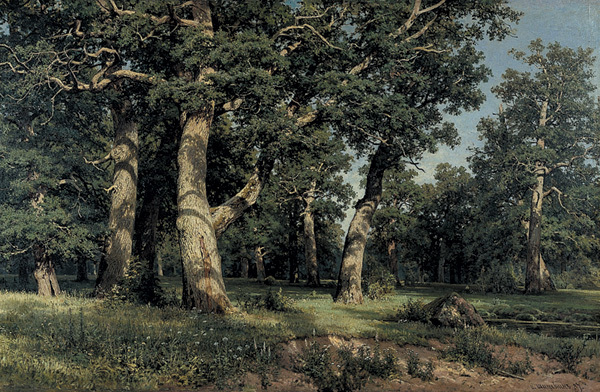 (To put in an Australian perspective, say, the National Gallery of Victoria might have 50 or so works by Fred Williams, yet numerous other regional centres have none. So the Government would requisition ‘spare’ works by Williams from the NGV’s collection and permanently deposit them at other regional galleries). Further still, the Western & Oriental Museum of Art lost a number of its important works when the cash-strapped Soviet Union started selling off its art collections on the international art market in the late 1920s and early 1930s. 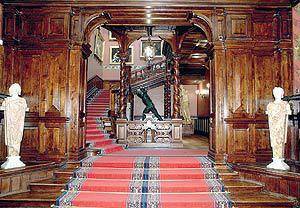 Further inestimable damage was sustained by all three museums during the Second World War. While the most important works were evacuated from Kiev as a matter of priority shortly after the German invasion of the Soviet Union in 1941, the remaining works were looted; most of them still remain untraced to the present day. The next forty or more years, however, were relatively prosperous for Kiev’s three major art museums. 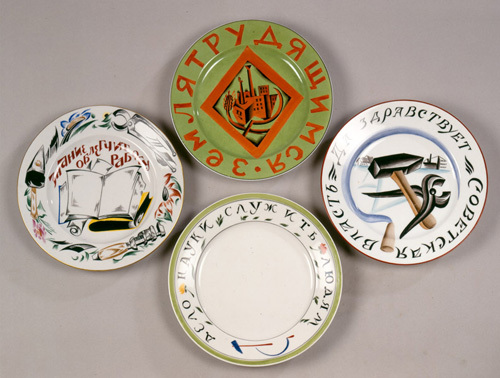 The Soviet system kept them supplied with a steady flow of contemporary art (as described in Part 1), and the collections were also enriched with donations from remaining private collections. The dissolution of the Soviet Union and the declaration of the independence of the Ukrainian state in 1992 signalled momentous changes in the lives of the three museums. The importance of Tereshchenko and Khanenko families in the foundation of these collections was being prominently and proudly acknowledged. The street, on which the Museums of Russian and Western & Oriental art are located, now bears the name of the Tereshchenko family; while the Museum of Western & Oriental art was renamed as the Khanenko Museum of Fine Art. The museum of Ukrainian art was once again given its former name of the National Art Museum, and regained its prominence as the focal point of Ukrainian art and culture. Although the governmental financial support inevitably diminished during the period of political upheavals, and the established chain of supply of artworks was broken, important donations began to arrive from international collectors and philanthropists. Recently I have had a pleasure of being invited to the studio of renowned Australian artist Gosia Wlodarczak and her husband, photographer Longin Sarnecki. Both Gosia and Longin were born in Poland, and over a delicious cup of tea brewed especially by Longin, which included up to seventeen different blends, and seated at a table which virtually groaned under the weight of treats, fruits, and cheeses, we got to discuss our Eastern European roots. I was interested to learn that Gosia and Longin, together with a number of other Polish-born artists living in Australia, continue keeping in close touch with museums, galleries, and exhibition centres in Poland. In fact, they are currently organising a major exhibition in Szczecin, with a huge support from the Polish government. Gosia inevitably asked me whether I have kept in touch with the art establishments in Kiev, Ukraine, where I was born and lived until I was seventeen. I confessed that I had not, even though I volunteered at one of the museums from 1986 to 1989. At that time, Ukraine was still officially known as Ukrainian Soviet Socialist Republic, and together with other fourteen states formed the mighty empire of the USSR, or the Union of Soviet Socialist Republics. Kiev, the capital of Ukraine, had three public art museums – those of Russian art, Ukrainian art, and Western and Oriental art. There was also a smaller museum space for changing exhibitions of art from private collections, and another exhibition space adjacent to the Ukrainian Academy of Arts. From time to time we enjoyed visiting travelling exhibitions, such as those from the collection of American billionaire Armand Hammer from Los Angeles, the collection of Baron and Baroness Thyssen-Bornemisza from Lugano, Switzerland, and contemporary (though heavily weighted towards Social Realism) art exhibitions from Germany and Italy to name but a few. To the best of my recollection, there were no commercial galleries at the time. Soviet artists had to belong to an artists’ union in their city, region, or state. The centralised governmental system bought their artworks, which inevitably had to celebrate the Soviet system through portraits, landscapes, historical and subject pieces of communist progress and joyous labour. These were in turn distributed among museums and galleries throughout the Soviet Union, and I recall a crate load of them arriving at one of the museums. While they were inevitably quite homogenous in their look and appeal, among the best things about this system was that every artist was guaranteed income and a steady flow of commissions. Furthermore, this sheer circulation of art meant that works by artists even from the most remote regions of the Soviet empire were to be seen throughout the country, and their works were to be placed within its most prestigious art collections. The artistic freedom can only be repressed so much, and many of the official Soviet artists did paint in private works that differed stylistically and subject-wise from the officially prescribed aesthetic ideology. I still recall a sensationalised article about one of the most prominent artists, known for his grandiloquent scenes from Soviet history, who, in private, painted – oh horror of horrors – bathing female nudes (very much in the style best described to the Australian audiences as that of Ivor Hele or Max Middleton). Those who refused to compromise their artistic integrity and chose to exist outside the official system did not fare so well. Without the governmental support they struggled financially and had to rely on infrequent sales of artworks from their studios or market stalls to a meagre and virtually non-existent local collectors’ market or to a chance international visitor.